Thanksgiving Truth: Thankful believers give like God has given to them. Thanksgiving Truth: Thanking God contributes to having the peace of God. 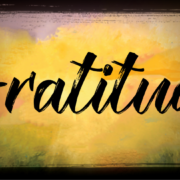 Thanksgiving Truth: Jesus values gratitude and misses it when absent in our lives. Thanksgiving Truth: Believers should thank God for fellow believers and ask Him to give them more knowledge and understanding regarding their spiritual blessings. Thanksgiving Truth: Believers making up the local church should thank God for church-related blessings and inform church members about their gratitude. Thanksgiving Truth: Gratitude to God is missing among lost people, who desperately need salvation from God’s deserved wrath. Thanksgiving Truth: Believers should thank God for receiving an unshakable kingdom from Him. Thanksgiving Truth: Believers can avoid spiritual derailment by overflowing with gratitude. Thanksgiving Truth: Believers should sing with thanksgiving to God. Thanksgiving Truth: Believers should thank God for everything.